Where opportunities to create longer works are scarce or non-existent, auteur artistry will out in a more expedient fashion. Throughout the history of Western cinema, the instances are legion: sponsored and commissioned titles directed by Ed Ulmer (public health informationals on TB), Shirley Clarke (UNICEF), Georges Franju (a Lorraine steel foundry), Len Lye (the British GPO and Imperial Airlines), and very many others. If the financing of these films reflects some stark economic realities, paradoxically these “bread and butter projects” have often provided scope for a creative freedom unimaginable on most feature films. Paradoxical, because the production funding and facilities rarely tend to generous; a creative response to budgetary restraints is demanded from the outset. A recent opportunity to view some of the early short films of acclaimed Iranian director Abbas Kiarostami provided me with some rare, revelatory insights into the forms an “expedient cinema” might take beyond the WestBloc cultural embargo. While the champions of Third Cinema have focused most of their attention on long-form documentaries and features, it’s the numerous varieties of short filmmaking – including ads, animation, and educational films – which constitute the indigenous film industries of most developing economies. We can hazard several assumptions about the circumstances under which these films are generally made. Production resources will not be extravagant. Technical aptitude of cast and crew members may be minimal. Appreciation of conventional cinema aesthetics, among both filmmakers and their intended audience, may be naïve or limited. Political circumstances, often mirroring economic instability, may be far from amenable, influencing or even determining the style and tone of the work. Ultimately, however, art is incorrigible: despite (or because of) these impediments, extraordinary films have been and will be made. As a result of its rich oil revenue and increasing cultural links to the West, in 1969 Iran was enjoying a relative cultural thaw. The Institute for the Intellectual Development of Children and Young Adults, based in the city of Kanoon, invited Abbas Kiarostami to establish its film division. Through another of the Institute’s initiatives, cartoonist Nooreddin Zarrinkelk was awarded a fellowship to study overseas with the Belgian animator, Raoul Servais. Elsewhere, avant-garde composer Iannis Xenakis would shortly premiere “Persepolis”, his electronic son et lumiere work on the ruined birthplace of the Persian Empire (ironically, this fierce and challenging work was a direct commission by the Shah from a lifetime Communist who’d lost one eye to Gestapo torture!). Iranian students marched in opposition to the war on Vietnam, hashish was cheap and commonplace, clothing and music in the style of the contemporary West. Some of this can be gleaned from Kiarostami’s earliest shorts: even the two child leads of Two Solutions to One Problem (1972) sport fetching ’70s mod fashions. On the eve of the Islamist revolution, the hero of Solution (1975) is immaculate in flared slacks, with the obligatory manly mo’ and “helmet head” haircut (a clue to the wider social unrest is provided by the abbreviated 16mm format). Perhaps surprisingly, women will not appear until 1980’s Toothache – in which Mohammed-Reza Askari’s teacher wears the severe black chador, but female dentists (seemingly enjoying gender parity on the clinic’s staff) wear a familiar white uniform. This same film provides other, innocent, illustrations of the realities of life in fundamentalist Iran. If the Ayotollah Khomeni’s regime did not emancipate Iranian women, it at least encouraged their participation in the life of their country. As in revolutionary Eritrea, the Islamic regime welcomed women into the ranks of the armed services. Women could drive cars – a small freedom, but still proscribed by the US-satellite Wahabist monarchy of Saudi Arabia. Another of Toothache‘s telling details about the complexity of this new gender politic appears when we see the boy protagonist’s father crushing rock salt while entertaining a male friend in the family home. “This is women’s work”, he announces before explaining that responsibility for such chores is indivisible within a functional household. Such parity of domestic labour hardly exists in our own culture, but this brief scene offers a clue to the social program of Khomeni’s revolution. Kiarostami’s shorts are modestly proportioned, but their limited resources cannot disguise the assured hand at the helm. Bread and Alley (1970) his earliest short, is already a work of striking accomplishment; if the film is technically conventional, it’s hardly less effective for being so. Peopled with what are traditionally the most difficult performers to work with, children and animals, this charming parable is related through strictly visual means. 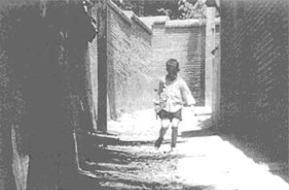 The plot is elementary, a playful illustration of central conflict theory: boy seeks to get home by a labyrinthine alleyway; aggressively territorial dog blocks his passage; sharing bread prompts a new friendship, and the dog happily escorts the boy to his door; locked outside by the boy’s sister, despondent dog lies in wait for another boy. Kiarostami’s mastery is evident especially in his own editing – the timing is perfect and enhances the gentle good humour of the scenario. Equally impressive are the expressive powers of Kiarostami’s unlikely cast. Children figure prominently in most of Kiarostami’s cinema. If this was a necessity rather than a choice in works produced under the auspices of the Institute for the Intellectual Development of Children and Young Adults, Kiarostami consistently carries out his commissions with a genuine sympathy for his subjects. 1975’s Two Solutions for One Problem presents two parallel resolutions to the same dramatic catalyst: two young boys are best mates until Dara returns a borrowed schoolbook to Nader with its cover torn. In the first telling, what ensues is a series of retaliatory acts, escalating into a wreckage of broken rulers and pens, ripped clothing, Dara’s black eye and Nader’s bandaged bump (hilariously rendered in the translated voice-over narration as “a broken head”). In the second telling, Nader alerts Dara to the damage, and Dara simply glues the tear; everything ends amicably with the pair waggishly sharing a cucumber snack. The purpose is nakedly pedagogical, but couched in a cheerful and engaging style. The aforementioned Solution is a mix of mock-heroism and infantile regression, perhaps Kiarostami’s only work for the Institute to pivot on an adult lead in the absence of supporting child roles. Having collected his repaired tyre from a remote auto-mechanic, the protagonist fruitlessly attempts to hitch a ride. Shaken by the spectre of circling carrion birds, he decides instead to roll the tyre down the road, jogging alongside. It’s a fairly breathtaking sequence, with the speeding tyre veering perilously close to the edge of precipitous mountain roads. Kiarostami is on cutting duties again, and his edit makes for moments of punishing suspense. This time, the hilarity is in the detail; happily enjoying his new game, our hero diffidently runs past the motorist who’s stopped to offer him a lift, and retrieves a comb to coif his helmet between strides! Like Bread and Alley, the film unspools with an absence of dialogue; the soundtrack is derived from diegetic sound, and some mood-setting “needle drops” of stock music. I’m hesitant to assign this film a purely diversionary purpose, but is it designed to teach the virtue of self-reliance, or the simple pleasures of constructive play? Toothache is the pivotal work in this collection, and certainly the strangest, by virtue of its refusal of generic conventions. Here, and in Regularly or Irregularly of the following year, the pedagogical intention of these films is most starkly apparent. Though audience laughter may now greet the dentist’s solemn declaration “I believe tooth decay is a major health problem…in fact, it is the most important health problem we face”, losing a tooth is in fact the predictor of all kinds of medical ailments. For a young revolutionary state, vehemently opposed to both global Blocs, the health of its citizens is one guarantee of combat effectiveness. For a theocratic state, the issue assumes a metaphysical significance; the health of the individual derives from adherence to the discipline of a strict moral code. Young anti-hero of the film is Mohammed-Reza Askari, who proceeds from a line of dental recidivists – his father and grandfather both suffer false teeth through an inattention to dental hygiene in formative years. Askari’s neglect is revealed to be merely the symptom of a decadent lifestyle – regularly running late for school, he rarely has time to brush in the morning. Shunned by classmates (“His breath stinks”, explains one peer to their teacher), soon Askari is unable to join his physical education class. The ache becomes unbearable. A lengthy shot of mewling, twitching Askari precedes a visit to the public dental clinic. There, a poker-faced dentist delivers his sober call for universal brushing, morning and night. This colourless, direct-to-camera address would be less bizarre if it wasn’t accompanied by the off-camera screaming of the helpless Askari (I began to suspect he really did have an excruciating cavity) and punctuated by some evocative, albeit primitive, animation of monstrous bacteria assaulting a row of teeth with miniature picks and shovels. Everything comes to its edifying conclusion. Askari vigorously partakes of amateur soccer, the importance of correct brush technique is confirmed for the audience, post-structuralists herald a sadistic allegory for the perils of liberalism. Animation credit is shared by Mehdi Samakar and Ahmad Arabani. Arabani has become the director of several short cartoons, and is numbered among the “third generation” of Iranian animators. The “first generation” were the pioneers of native Iranian animation, like Nosratolah Karimi and airforce colonel Jafar Tejaratchi, who trained at the Prague studios of Kratky Film in the 1950s. The “second generation” were those Iranian animators sponsored by the Institute for the Intellectual Development of Children and Young Adults from 1969 onwards – they number in the dozens, at least, but the fruits of their talent remain almost unseen outside of Iran. Dating from 1981, Regularly or Irregularly is an even more didactic work, shorn of artful elaboration. Recent veterans of the Iranian school system probably shudder at the recollection of its title. Essentially a time-and-motion study of a variety of everyday activities – drinking from the collective water tank at school, boarding a bus, crossing the street – the film finds Kiarostami returning to the parallel narratives structure of Two Solutions for One Problem. It’s a method common to the social guidance cinema produced in 1950s America: the wrong way to behave (with its punitive consequences), followed by a sanctioned model of behaviour. Contemporary Western audiences may know the example of Lunchroom Manners (1960, no credited director) which featured in the original Peewee Herman special for HBO in 1981. Regularly or Irregularly obsesses over the need for rigid rank-and-file collective order. Anathema to a youngster in any part of the world, the film labours the primacy of these pod-person routines. Perhaps perversely, for this viewer its chief appeal lies in the relish with which it records crowds of riotous schoolchildren, thrill-seeking jaywalkers, and brutally competitive motorists. The Chorus is a magical film, shot in a luminous soft-focus which marks the beginnings of a more creative formal approach. Kiarostami’s prodigious wit is again in evidence: sitting across from a gasbagging craftsman, our deaf protagonist slyly knocks out his hearing aid, but continues to smile and nod assent at his companion’s muted tirade! Also appealing is the delicate portrayal of the hero’s grandfatherly time-table: feeding pigeons in the square, window shopping at baroque light fittings, the savouring of horseradish and an afternoon cigarette. Perhaps it’s better that we in the audience are heedless of the tacit family structure – filmed during Iran’s long and bitter war with Iraq, our hero is very likely an uncle or grandfather who’s denied military service by reason of advanced years. The parents of those children are likely serving at the front, or even dead. If this is a detail I suspect would be lost on most Western audiences, it’s something an Iranian would understand immediately, just as Bart Collins’ single mother in The 5,000 Fingers of Dr T (Roy Rowland, 1954) was considered unremarkable in a period when recent widowhood was a commonplace in America. Like the best of expedient cinema, Kiarostami’s films for the Institute for the Intellectual Development of Children and Young Adults sometimes approach a Maoist conception of popular art. Candidly detailing everyman antagonisms, these films ply their entertainments in the service of progressive social outcomes. It’s a far cry from the freeway pyrotechnics and bedroom imperialism of our own ubiquitous Capitalist Realism. 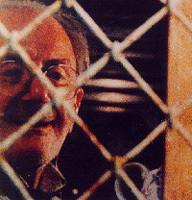 If this is merely a reflection of production imperatives (I wonder how many bearded apparatchiks “oversaw” the production of Toothache and Two Solutions to One Problem), the enduring appeal of these shorts, made under the strictures of a mercurial political regime, testifies to Kiarostami’s talent as a filmmaker. Kiarostami’s shorts have been brought to our attention by the success of his later features. How many other filmmakers, as worthy or more so, are denied the audience their works mandate because of accidents of geography and the caprices of entertainment finance? If I instanced Ulmer, Clarke and Franju in my introduction, it was strictly a rhetorical device. The reality is that many of the best shorts, indeed the best films (by my personal estimation) that I’ve seen were made by unsung auteurs who never proceeded to that stale chestnut of the media marketplace: the linear feature-length fiction narrative. The recent screening of a program of Kiarostami’s shorts at the Melbourne International Film Festival prompts my tiny hope that many more Third Cinema shorts find their way to international audiences. Fingers crossed! Giannalberto Bendazzi, Cartoons: One Hundred Years of Cinema Animation, John Libbey & Co, London, 1994. Geraldine Brooks, Nine Parts of Desire: The Hidden World of Islamic Women, Doubleday, New York, 1996. Ken Smith, Mental Hygiene: Classroom Films 1945-1970, Blast Books, New York, 1999.